The Lewis Family’s 2008 home has an old soul. The Lewis Kestrel House is a modern house with craftsman influences, inspired by the homes in the surrounding Washington Elementary neighborhoods. The design employs traditional materials such as cedar shakes and novelty siding, and intricate details such as bird-mouth rafter tails adorning the eves. 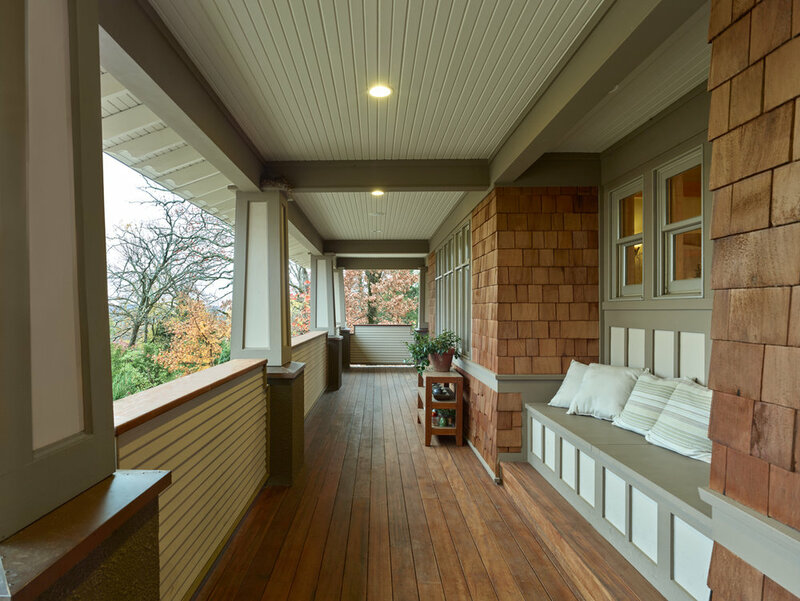 The large Brazilian hardwood front porch wraps around the side of the house to form a private dining porch with views of the mountains to the south of Fayetteville. 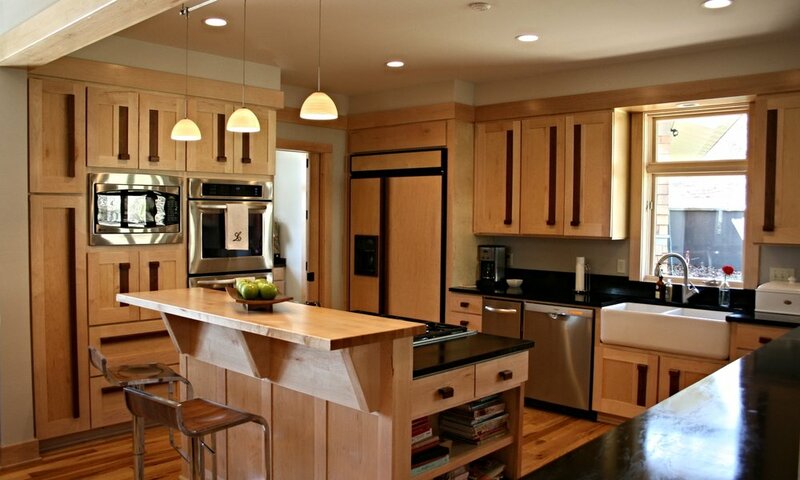 The interior, with its hickory floors and extensive maple cabinetry, trim, and doors continue to explore the craftsman theme in a lighter, modern open-design suited for both formal and casual entertaining. The parlor with its maple coffered ceiling and bookcases, can be closed off by two large sliding doors to form a cozy fireplace nook. The master suite, hidden behind a panel door off of the foyer, has two walk-in closets, a master bath, and laundry room. Three bedrooms and an auxiliary laundry finish out the upstairs.